Avvocato in Milan and Avocat au barreau de Paris, Enrico Castaldi is mainly involved in the following areas: Corporate & Commercial, M&A, Real Estate & Retail and Restructuring. Based on his more than thirty-year experience, he also deals with the definition of the most important litigation strategies. After a first period spent working in Rome, Enrico Castaldi worked for more than ten years with Lette & Associés, mainly in Paris, but also in Montreal and Toronto, Canada. 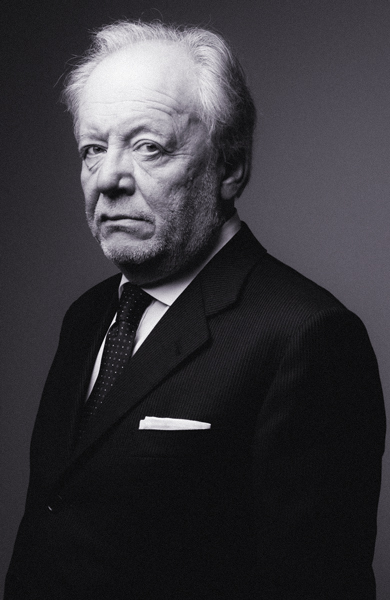 In 1996, he founded Castaldi Mourre & Partners in Paris (CastaldiPartners since 2016), which over the years has become the law firm of reference for the economic relations between Italy and France. Enrico Castaldi dealt with hundreds of cross-border investment transactions, industrial and commercial agreements and joint ventures, mergers and acquisitions, corporate restructurings and structures of corporate. His working languages are English, French and Italian. Provided assistance to an Italian group in the construction sector in structuring its activities in France. Provided assistance to a German industrial group for the corporate and commercial needs of its Italian subsidiaries. Provided assistance to an Italian group in the packaging machinery sector for the corporate restructuring and corporate governance of one of its subsidiaries in France. Provided assistance to an Italian fashion group in opening a concept store in Paris. Provided assistance to an Italian group in the field of food packaging in the reorganization of its production facilities in France. Provided assistance to a French group in the electronic industry for the acquisition of an Italian company. Provided assistance to a French group in the field of animal nutrition for an acquisition in Italy. Provided assistance to an Italian company in the Oil & Gas sector for the conclusion of a settlement agreement with a French group, in the framework of insolvency proceedings. Provided assistance to the administrators of an Italian company subject to insolvency proceedings in the transfer of a French affiliate company. Provided assistance to an Italian fashion group in the definition of the settlement agreements with its French distributor. Provided assistance to a Italian cooperative in the food sector in the restructuring of a French company subject to insolvency proceedings. He regularly takes part in seminars and conferences on topics concerning the economic relations between Italy and France and the legal profession. He taught at the Université Paris X - Nanterre. He has been collaborating on the commercial law courses held at the Università di Firenze for many years. Since 2018, he has been teaching at the International Jurist Master’s degree course 2 of the Université Paris 1 Panthéon-Sorbonne. He is Commander of the Order of Merit of the Italian Republic and Knight of the Order of Merit of the French Republic. Legalcommunity ranked him among the 50 Best Lawyers of the Year in 2014, 2016 and 2017. He was selected as Lawyer of the Year in the Corporate Advice category at the 2015 Legalcommunity Corporate M&A Awards and Lawyer of the Year in the Fashion & Luxury category at the 2018 Legalcommunity Corporate M&A Awards. Università agli studi di Roma.